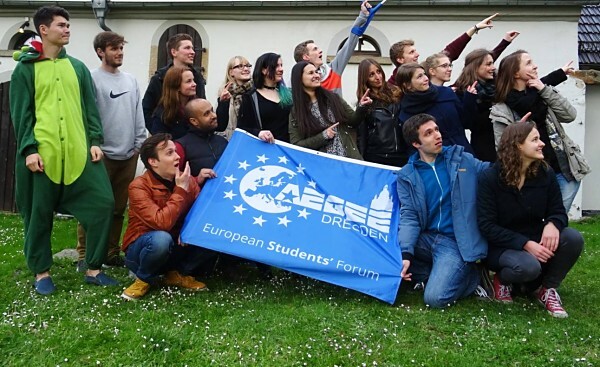 We started off on Friday with our method training and team building games, a lot of fun, because at AEGEE-Dresden we truly love our games and energizers! 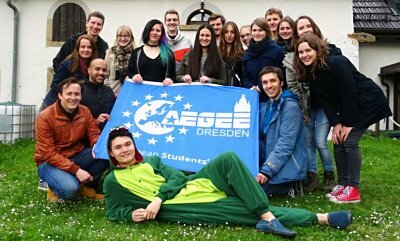 After a tasty dinner we enjoyed our classical What is AEGEE workshop – only this time with many more details than usual so not only the newbies, but also the older members had the chance to learn something new about the structure and aims of AEGEE-Europe and AEGEE-Dresden. When night came, instead of crawling into our beds, we went out into the deep dark forest with the task to retrieve our beloved #DresDino – all part of the social program which gave us the possibility to explore the surroundings of the village we lived in – in the dark! Saturday morning we began with energizers for waking up and getting ready for another busy day full of workshops! We learned how to communicate the right way (and how hard it is in fact to explain someone how to correctly make a sandwich!). The day continued with trainings on FR, an Inkscape workshop, held by an experienced external trainer, and a long practical workshop on project management. As a member of the PR working group I really enjoyed the introduction to Inkscape, since we gained a lot of useful skills for improving our work in and outside of AEGEE! Moreover I also found the project management really good, because everybody surprised noticed how much work one can do in only a few hours! Being productive the AEGEEan way! Yay! The second day’s grand finale was our wild Las Vegas party – decoration, thematic music and many games like the wheel of fortune were parts of it! 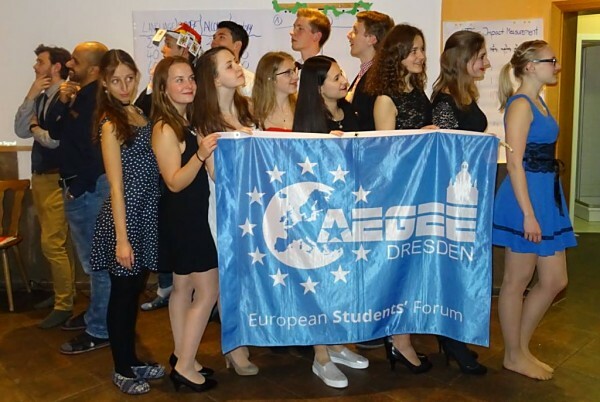 And, as we celebrated like they do in Vegas, everyone dressed up very fancy – bow ties and high-heels included! On Sunday we started the day with some strong coffee, followed by the survival workshop and a really interesting feedback session. The training course ended with some (sadly necessary) cleaning, where luckily everybody took part, many group hugs and great memories!